The inspiration for this card came from Jacque Williams' card that she made for the Auckland Extravaganza a couple of weeks ago. You can view her card here. For my card I've used the Happy Watercolour Stamp Set from the Seasonal Catalogue on a Sahara Sand base. I've stamped the base with the Woodgrain stamp using Versamark - as Jacque had done using Hardwood. 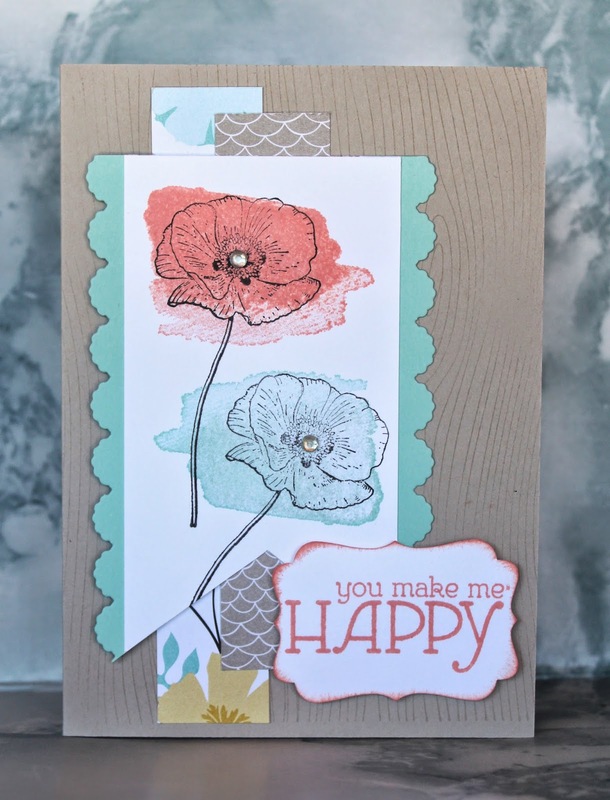 The Paper behind is the Sweet Sorbet dsp and the edging is our Adorning Accents die. 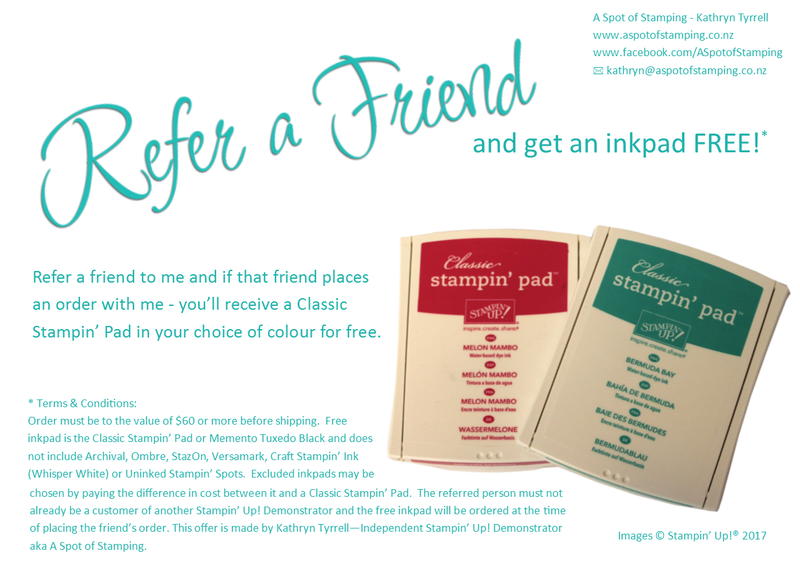 Contact me today to order your Happy Watercolour set in either clear or wood mount.